Find the best deals on private flights to Little Rock, the capital and largest city in the state Arkansas. There are 17 airports located within 50 miles of the city, making it the most popular region for luxury & executive aviation in the state. The city also serves as the seat of Pulaski County and anchors the Little Rock-North Little Rock-Conway Metro Area, home to nearly 750,000 residents. Air Charter Advisors offers the highest levels of safety, comfort and quality for private and executive travelers. ACA is your comprehensive source for all your private aviation needs in Little Rock and across the state Arkansas. Call or e-mail us with any questions regarding ad-hoc air charters, business jet rentals, jet card memberships, aircraft sales/acquisitions, medical charter flights, and all other private aviation services. Air Charter Advisors arranges private charter flights to/from Little Rock using 3 airports located within 20 miles, including Clinton National Airport, North Little Rock Municipal, and Saline County Regional. You can also choose from several airports located within 35 nautical miles, providing flexible arrival/departure options closer to your home or office. Safety is our number one goal, and our Wyvern-certified brokers go above and beyond the requirements set forth by the FAA. In fact, our safety and due diligence processes meet and/or exceed those utilized by Fortune 500 flight departments. This is why when global, regional, and local corporations need a business jet for their executives, they contact Air Charter Advisors. Our clients expect peace of mind, and the best service in the industry. We deliver. We offer the most competitive rates at this level of service, routinely beating the hourly rates of many jet cards, and our all-inclusive quotes come without any commitments, allowing you to compare us to your current plan, or for luxury travelers to explore the option of Little Rock air charter for your next trip. For aircraft availability and hourly rates for charter flights to/from Little Rock, contact us via e-mail with your trip detail or call us at 1-888-987-5387 to book your private jet to Little Rock, Arkansas. Private planes can arrive at one of three airports within 15 nautical miles of the city center, all featuring private FBO terminals and 5,000+ foot jet runways. 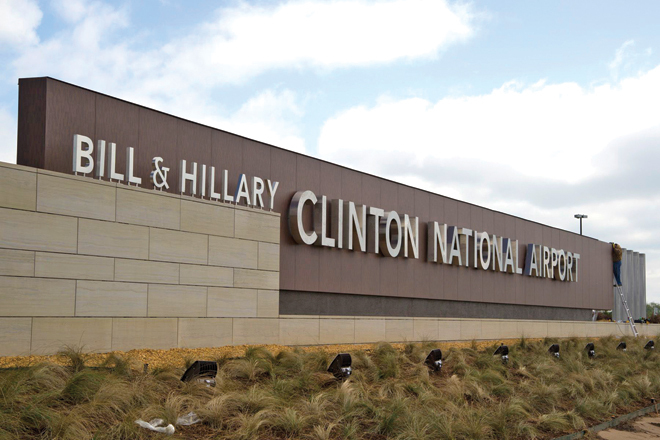 If you’re chartering a Gulfstream G550, Global Express, or similar long-range or super mid-size jet, you’ll arrive via Clinton National Airport (LIT), also known as Adams Field. Mid-size and light jets are able to arrive/depart using the two additional options in North Little Rock and Benton. Fly private to Little Rock, the cultural and economic center of Arkansas, and a major government and transportation hub within the South. It’s famous as the hometown of former President Bill Clinton, and is a center for governmental and non-profit organizations. 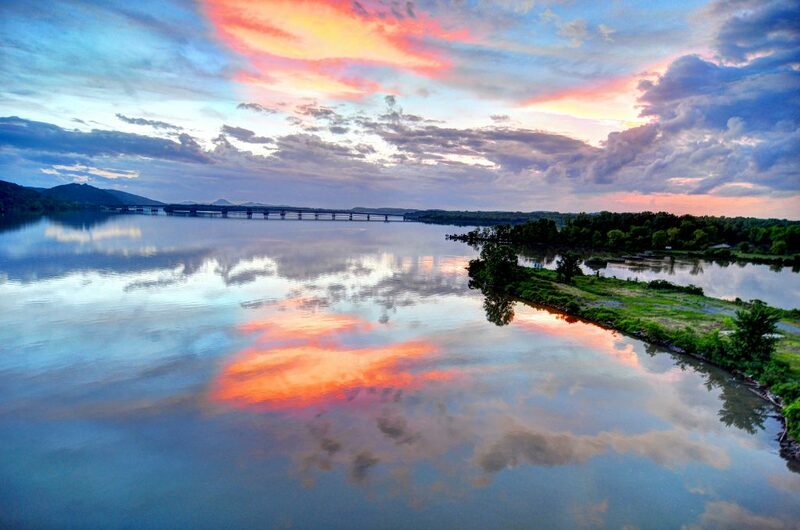 Centrally located where the Ozark Mountains, Ouachita Mountains, and Mississipi Delta Plain all meet, Little Rock first served as the capital of the Arkansas Territory, and then state of Arkansas in 1836. Other cities included as part of the Little Rock-Conway Metropolitan Area are Jacksonville, Benton, Sherwood, Cabot, Maumelle, and Bryant. It gets its name from French explorer Jean-Baptiste Bénard de La Harpe, who used a rock formation along the Arkansas River as a landmark to reference the area’s location. Today, the city is a major cultural, economic, and transportation/shipping center, with two major Interstate highways meeting in Little Rock (I-30 and I-40), a major shipping port along the Arkansas River, and more than a dozen airport within 50 miles. 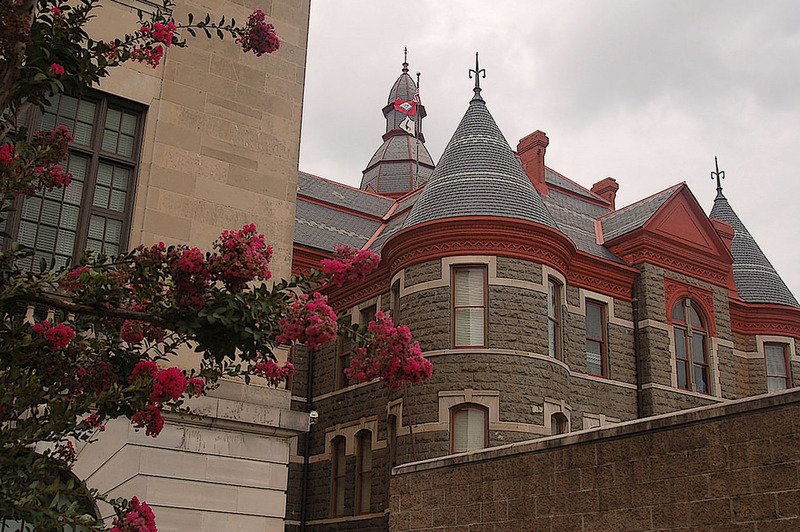 Cultural institutions include the Arkansas Arts Center, the Arkansas Repertory Theatre, and the Arkansas Symphony Orchestra, and the city is home to the William H. Bowen School of Law at University of Arkansas Little Rock. Companies headquartered in the city include Dillard’s, Windstream Communications, Acxiom, Stephens Inc., Heifer International, and the Rose Law Firm. Other large corporations such as Dassault Falcon Jet and LM Wind Power have large facilities here. Thanks to the politcal influence of the hometown Clinton family, some of the world’s largest non-profit organizations are headquartered in the city, including the Clinton Foundation, Clinton Presidential Center, Heifer International, FamilyLife, the Association of Community Organizations for Reform Now; other major organizations include Lions World Services for the Blind, Winrock International, Winthrop Rockefeller Foundation, Audubon Arkansas, and The Nature Conservancy. Arrange your private charter flight to/from Little Rock and choose from the following private planes for your flight. We’ll locate the best planes for your flight based on your trip details, and search hundreds of empty legs and one-way routes to find you the best deal on the market. Frequently requested aircraft for this region include turbo-props (King Air 200, Pilatus PC-12, Grand Caravan EX), light jets (Lear 35, Hawker 400XP, Eclipse 500), mid-size jets (Challenger 300/350, Hawker 800XP, Citation Excel), and large jets (Falcon 2000EX, Gulfstream G-IV, Challenger 605). Airliners can also be arranged for group charters for special events. Wyvern Wingman and ARGUS Platinum aircraft available for executive jet charter and corporate jet charter when required. Discuss the goals of your flight and review all of the private jet and turboprops available for your flight with your broker. The following airports are located in the state of Arkansas between 20 – 35 nautical miles from Little Rock. Clients may wish to utilize one of these airports to arrive closer to their home or office, or reduce their charter cost with lower operating fees. Call us directly at 1-888-987-5387 or contact us via e-mail with any questions or requests regarding private jet charter Little Rock, jet card memberships, aircraft ownership, and private jet management/marketing services in Arkansas.